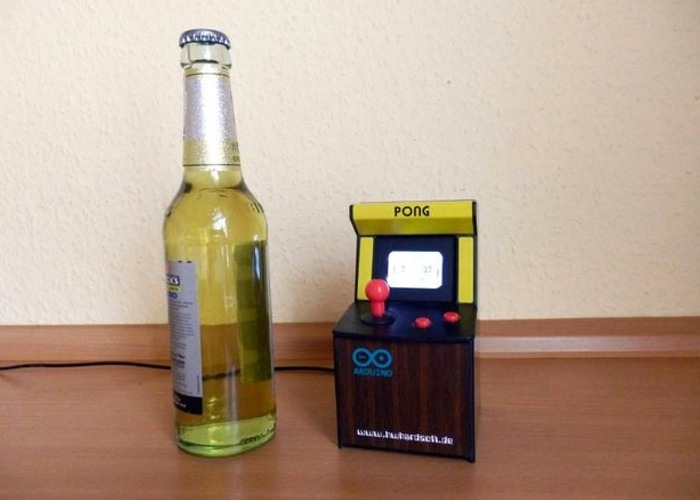 Arduino developers, tinkerers and hobbyists looking for a new project for the weekend might be interested in this tiny Pong Arcade game which has been constructed based on the Gamebunio Arduino platform. The Pong Arcade game is equipped with a ATMEGA328 and the screen of the game has been provided by a Nokia 5110 LCD. Watch the video after the jump to learn more about the tiny Pong Arcade Game project and see it in action. 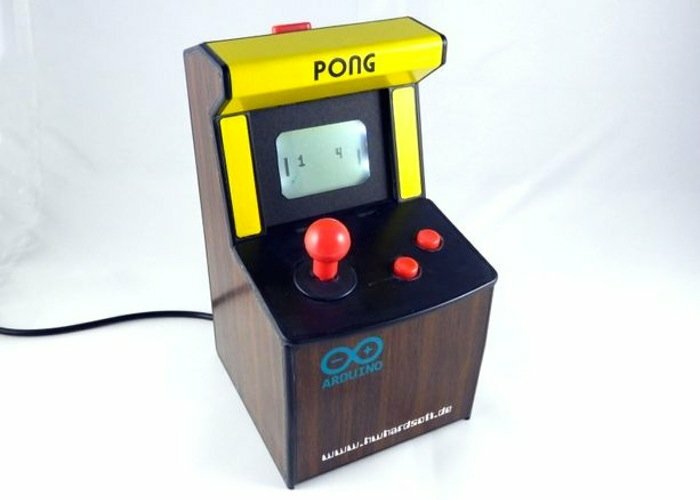 The Pong Arcade game measures just 14cm tall and the circuit diagram is based on the open source handheld Gamebunio that recently successfully launched over on the Indiegogo website, which in itself is based on the Arduino platform. Its creator explains a little more about the design of the Duinocade. “I’ve hacked not only the Gamebuino but also an Arcadie Dual gamedock for the case. It is much smaller als the Arcadie gamedocks of my other projects and also cheaper. The electronic is realized on a breadboard. In the future we will create a pcb layout and perhaps also a DIY kit. For more information and full instructions on how to build your very own Duinocade Pong Arcade game jump over to the HW Hardsoft website for full details.